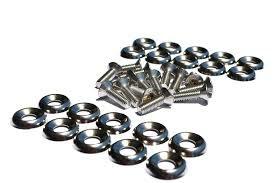 Dress-up bolts - a great way to add a stylish finishing touch to your engine bay. 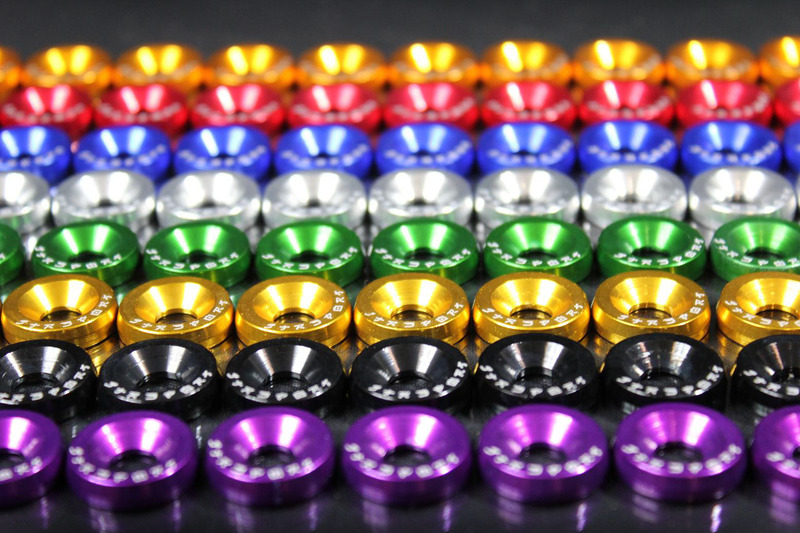 Included are 25-pieces of 10mm bolts and anodized washers in the color of your choice. The washers are constructed of lightweight aircraft-grade aluminum for the most durable finish. The Asian-style lettering on top says "JTR Sport".